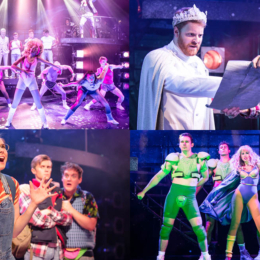 Production shots from the hugely entertaining Eugenius! 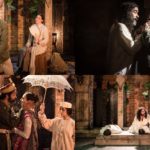 at The Other Palace, which runs to 21 October. 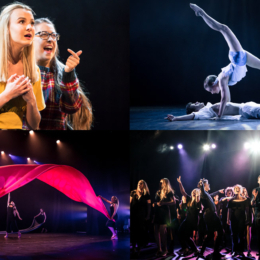 Something different this time… Production shots from Milton Keynes theatre and dance school Arts1’s sixth form end-of-year showcase, which brought together performances from all different disciplines and a lot of very talented students. 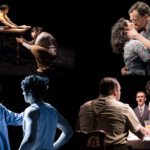 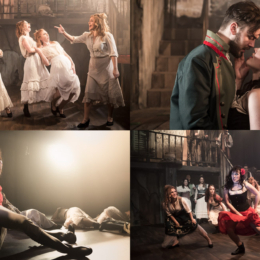 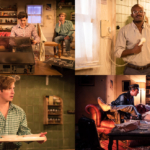 Production shots from the London School of Musical Theatre’s Hogarth-inspired production of Lionel Bart’s Lock Up Your Daughters. 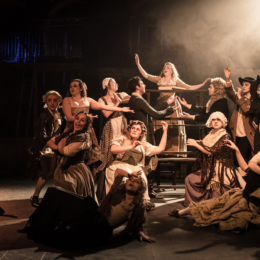 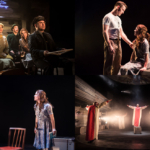 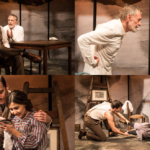 The show, which is at the Bridewell Theatre, closes tomorrow. 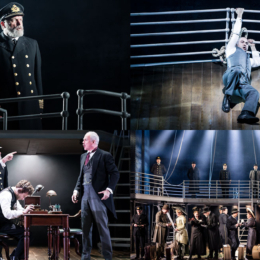 Thom Southerland’s production of Maury Yeston and Peter Stone’s Titanic has set off on a long-overdue national tour (with additional stops in Dublin and Hamburg). Production shots below. 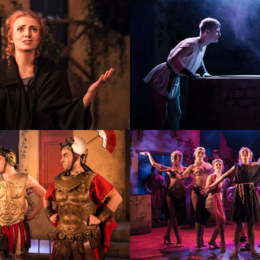 Production shots from the LSMT’s terribly silly A Funny Thing Happened on the Way to the Forum, which closes tonight at the Bridewell Theatre. Production shots from the Union Theatre’s beautiful, Peninsula War-set production of Bizet’s opera Carmen. 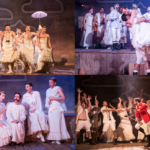 The show runs to 10 March. 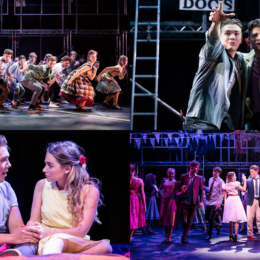 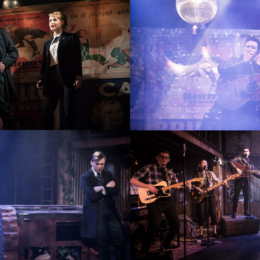 Production shots from the utterly unique 50s musical Teddy, which runs at the Watermill Theatre until 10 February before setting off on a national tour.